In this speech quote, President Clinton retraces the steps of the Little Rock Nine who integrated Central High in 1957. Though the National Guard initially turned them away on September 5th, the students were finally able to enter the school on September 25th, 1957. However, entering Central was only the beginning of their difficulties. Singled out in the previously all-white school, the students endured verbal, emotional, and physical abuse from their peers and from the staff that turned a blind eye, as they share in interviews for the National Park Service Central High School Oral History Clips. 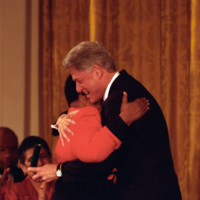 In a highly symbolic gesture, President Clinton opened the door for Little Rock Nine to the school they had fought so hard to attend 40 years prior. 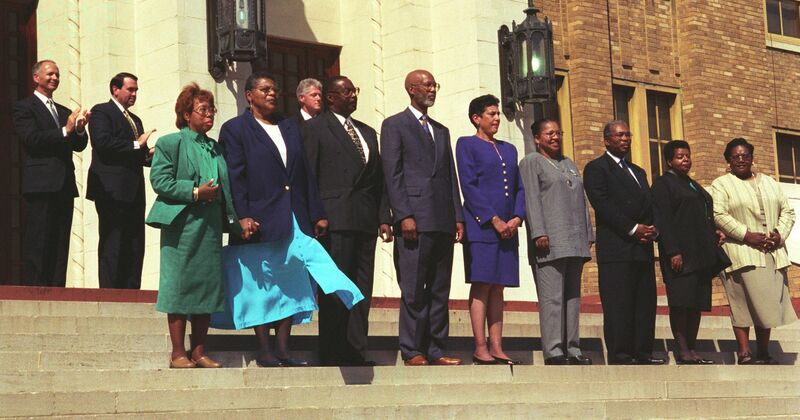 Pictured are Terrence Roberts, Ernest Green, Melba Pattilo Beals, and Elizabeth Eckford. 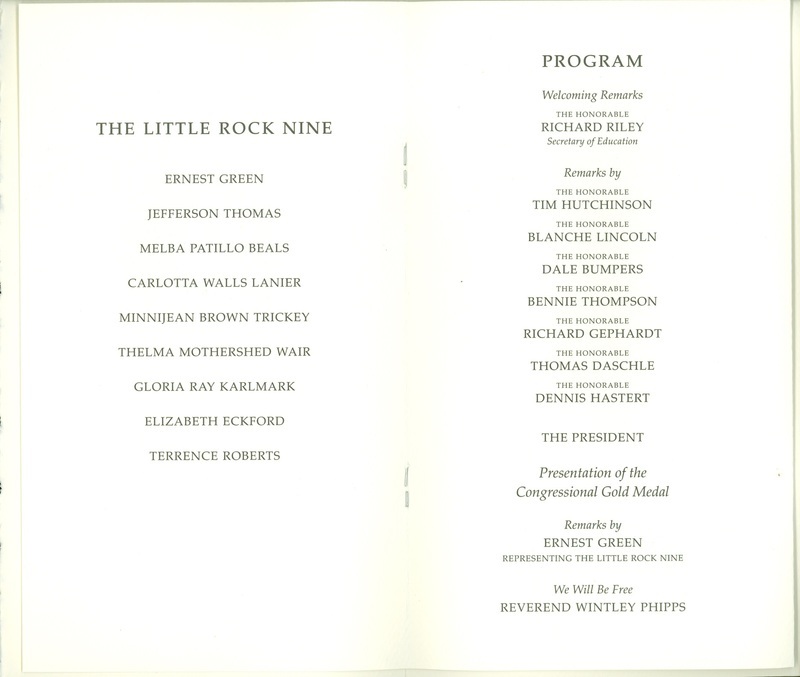 This is a revised draft of remarks given in honor of the Congressional Gold Medal presented to the Little Rock Nine. 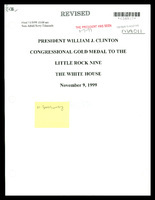 This copy contains handwritten revisions and notes by President Clinton. 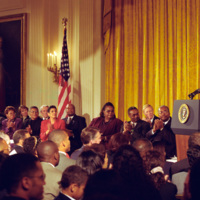 Pictured are the Little Rock Nine listening to President Clinton's remarks at the Ceremony. Each member of the Nine then received their medal. 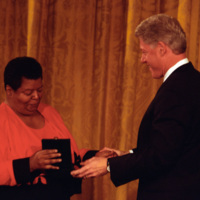 Pictured here are Ernest Green and Elizabeth Eckford. This is the program from the Congressional Gold Medal Ceremony in the White House. A unique design is created to reflect the recipients every time the Congressional Gold Medal is awarded. 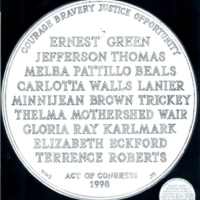 Pictured here are the approved Little Rock Nine Congressional Gold Medal designs for the obverse and reverse of the medal. 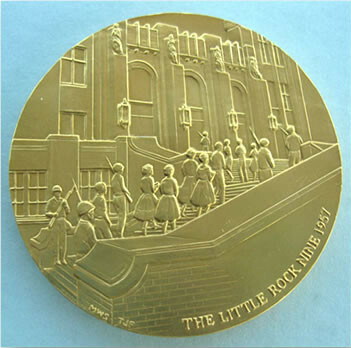 The Little Rock Nine medals were authorized by H.R. 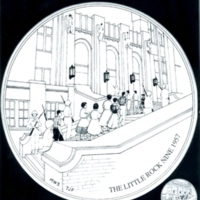 2560, the Little Rock Nine Medals and Coins Act, sponsored by Representative Bennie Thompson (D-Miss.) and Senator Dale Bumpers (D-Ark.). H.R. 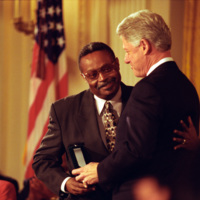 2560, enacted into law on October 21, 1998, was included in the FY99 Omnibus Appropriations bill. ← "Two Americas, Divided and Unequal"